There are 6 reviews of Esprit du Roi. Don't get me wrong. I don't think this is the most groundbreaking work from Duchaufour. It is built along more conventional lines, but each step of the way there are little twists that keep this fragrance interesting and separate it from the rest of the generic-fresh flock. It is quite clever - not overtly so, but in its own way. I won't list all the notes, but the tomato leaf opening leading to the ylang-ylang/geranium floral heart particularly appealed to me. The drydown is more aldehydic than I would like, but it's fairly pleasant, if somewhat demure. This is something I can wear to my (very conservative) workplace every day without people staring at me like" WTF? ", all year round. Wearability is key here. Very woody tomato leaf and geranium. Like most Penhaligon's it is fresh and clean, and a fair sillage and Projection. Nice change from florals. ... and a partridge in a pear tree. So many ingredients, such wasted potential. On me, this is a overly "bright" and quite generic fresh-spice scent. Like many drugstore scents, a heavy hand with aldehydes dominates and ruins this. It is supposed to be a "lush woody citrus" but none of those aspects really are presented. Given the price and promise of quality which does not appear, I find this to be very poor value and I do not recommend it. Bertrand Duchaufour's 2011 re-working of Esprit Du Roi revisits the fougère territory of the previous year's Sartorial, but with less cleverness and a diminished sense of fun. The intention seems to have been to build a masculine around the idea of sourness: there's a feisty grapefruit at the beginning, followed by a tangy, not entirely appealing herbaceous edge which probably comes from the raspberry leaf absolute (all rasp; no berry). This in turn causes the hay aspect of the coumarin to come out in goosebumps, which ultimately causes the temperature of the whole to plunge to sub-zero depths. If you get up close - and I mean really close - you can detect the faintest growl of an animalic base, but otherwise wearing this feels like being on the receiving end of a chilly glare from a boss with a distressing love of performance management. 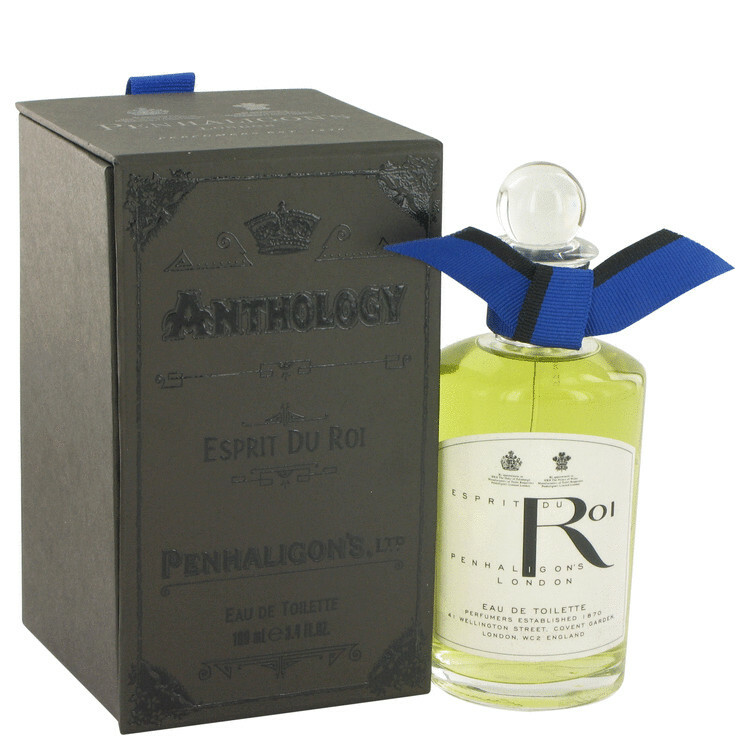 I don't know why Basenotes states this was launched in 1870, as the Penhaligon's site states it was launched in 1983 and is now part of their re-released classic scents. It opens with a burst of citrus - \Mandarin and Bergamot, supported by mint. It then begins to warm and the Clove emerges, reminding me of a well-balanced Bay Rhum. After half an hour, the citrus and Clove are gone and we are left with a warm Sandalwood. A very pleasant scent and one that would have been more appealing if the citrus/clove combo had not disappeared so quickly. Very nice but costly compared to other citrus/clove or outright Bay Rhum combos available today. There are no member images of Esprit du Roi yet. Why not be the first?